Even while traveling, even at low speeds, a dock can do some serious damage to the your boat. The ProTect Straight Bumper is an affordable way to add extra protection to your dock. 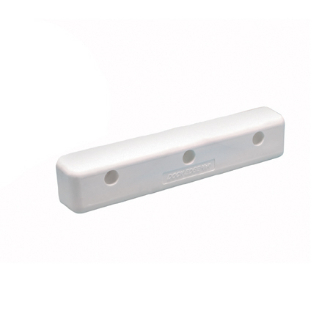 Manufactured from MPR (Melt Processable Rubber), this heavy-duty 12'' white bumper is equipped with a tremendous amount of shock absorption qualities and will not mark or mar the hull of your boat if bumped. Length: 12''. Color: White. Imported. Copyright © 2011-2019 Beluga Marine. All rights reserved.